Rainer Gross was born in Köln, Germany in 1951. He has lived and worked in New York City for 40 years. In 2012, the Museum Ludwig (Koblenz, Germany) held a four-decade survey of his paintings. Most recently his work was shown at the China Art Museum in Shanghai. Other notable national and international exhibits include the Musée Cantonal des Beaux-Arts (Lausanne, Switzerland), Krannert Art Museum and Kinkead Pavilion (Champaign, Illinois), Kunsthalle Emden (Emden, Germany), and many other museums and galleries in America and Europe. Gross’ paintings are housed in numerous public collections, including the AT&T Corporate Art Collection, the Cohen Family Collection, the Hirschhorn Collection, the UBS Union Bank of Switzerland, the Ludwig Collection in Germany and the Lowe Art Museum. His work has been reviewed by The New York Times, Art in America, ArtNews, The Brooklyn Rail, The Boston Globe, and many others. You can brush, trowel, press, throw, squirt, drip or pour paint onto a canvas, or stain it with diluted medium. It has all been done. Rainer Gross makes paint adhere to the support in yet another way in order to arriving at compelling abstract compositions. Since the early ‘90s this New York-based artist from Cologne has experimented with the monotype techniques, here adapting them to create the body of paintings he calls “Contact Paintings”. 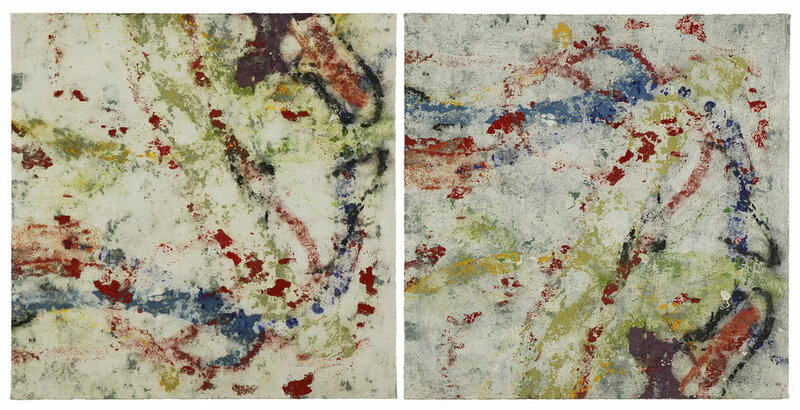 Chance and control are equally at play in Gross’ process of pressing together, then pulling apart two painted surfaces; called “Twins,” he gives them specific names culled randomly from the telephone book. 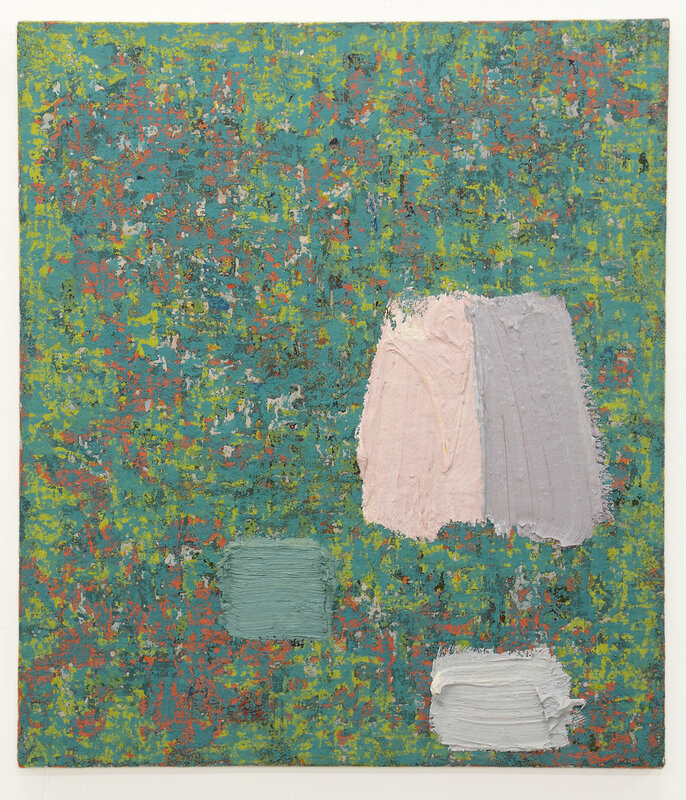 Layered, roughly-textured, and richly-colored, the technique recalls the “action” paintings of ’50’s. 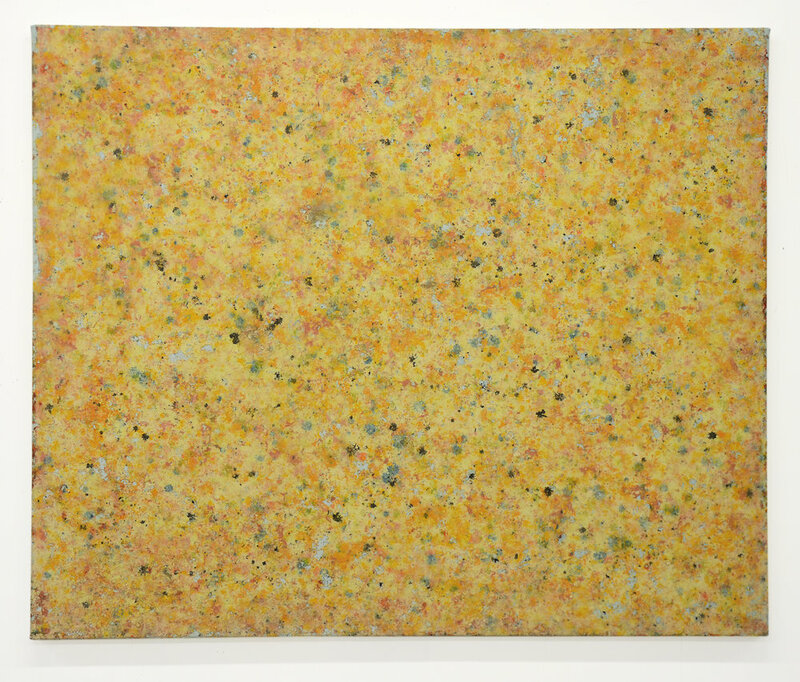 Gross’ ephemeral looking work alludes the destructive forces of time. He tackles modernist tradition with poetry and zest.